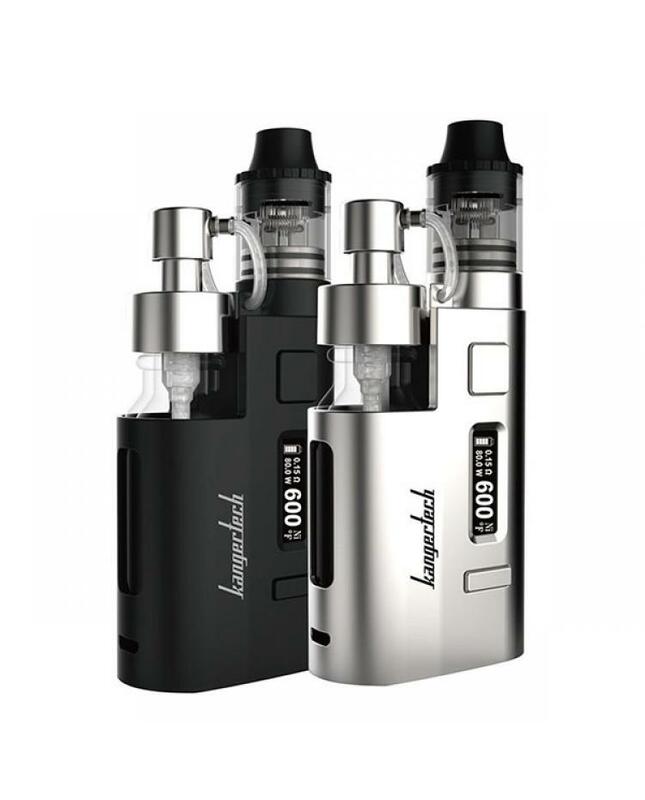 kanger dripez e starter kit, made of zinc alloy, black and silver colors avaliable, max output 80watts, powered by 1pc 18650 battery. support resistance low as 0.1ohm, with innovates e juice delivery system, which inherits the concept of squonker, the unique top juice pump delivery system, and two post-RBA deck design brings vaper more fun. the dripez vape kit support NI200, TI and SS wires under temp control mode, it uses push RBA design, vapers only pressing down the on the posts to release and change coils, the 0.2ohm drip coils allow vapers use for DL or MTL vape.